Our friends at Copa 90 have produced an excellent, relaxed interview with Dejan Lovren during a ‘FIFA & CHILL’ session! The Croat spoke openly about his time at Liverpool and made some hilarious comments about his team-mates. We’ve embedded the full half an hour interview below, which you can check out in your own time. 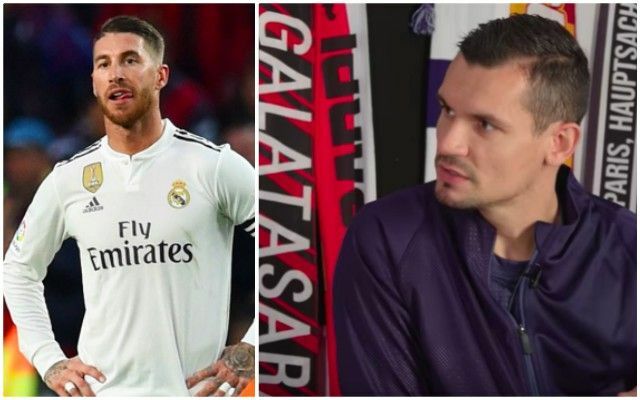 “I didn’t say anything wrong, of course my haters will always say that…” Lovren replied when asked for clarification on his ‘I’m one of the best in the world’ comments from back in the summer. “Sometimes I don’t deserve the hate. “If you look, Ramos has many more mistakes than me. But he’s at Real Madrid, he does a mistake, you win 5-1, 5-2, nobody sees the mistake. Ramos is a nasty piece of work – but unlike Lovren – we do think he’s an elite defender and a born winner. Lovren excelled at the end of last season for Liverpool and in the summer for Croatia, with his country almost securing World Cup glory. This season though he’s been unable to establish himself in the team yet – largely due to the form of Joe Gomez. The English defender has been exemplary and his relationship with Virgil van Dijk particularly impressive. Lovren also looks good next to the Dutchman, so it’ll be interesting to see who Jurgen Klopp goes for on Saturday away to Arsenal.